Handed over to the Centre in October 2013 and still under consideration, the Gujarat government specifically says in the document, “It is important to incentivize the states with high tax contribution” , and subsequently national growth. This is particularly important because, according to it, “post-1991, in the absence of central intervention, the industries can set up their unit at any place at their will, depending on the investment environment prevailing in that state. 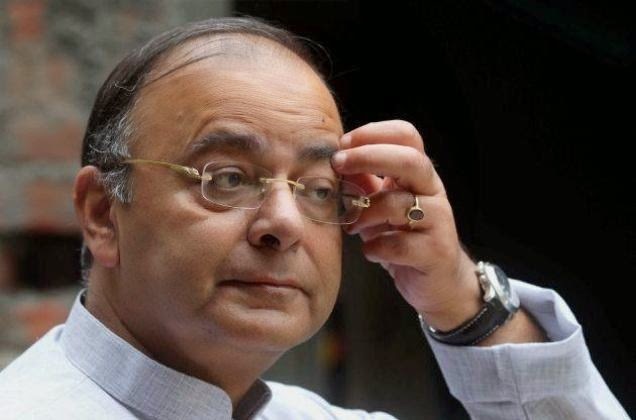 In changed environment, states have to position themselves as an attractive investment destination.” Gujarat government officials who prepared the document under Modi's direction are keeping fingers crossed: Will new finance minister Arun Jaitley oblige? Indicating that under the new economic policy “efficient” states individually have contributed towards the size of the Indian economy, even as getting less amount from the Central pool, the document stresses how their resources and infrastructure have been put under stress, adding, it is important to “reward the effort of states for their contribution in the economy.” Hence, it says, states with a higher contribution to the national gross domestic product (GDP) should be “awarded... It becomes important to support the efforts of states for achieving efficient utilisation of resources that ultimately leads to growth”, adding, Central devolutions should “benefit states based on the contributions they make” to the nation economy. Yet another factor relating to to the “efficiency criterion”, according to the document, should be migrations in a particular state for “social and economic opportunities, both short term and long term.” The document says, “Migration load induces additional pressure on the cost of provisioning of public services to the in-migration.” Pointing out that the states which suffer the most as a result of migration are Maharashtra, Delhi and Gujarat, it points out, states like Bihar, Uttar Pradesh, and Tamil Nadu have negative net migration rate. So, which states should stand to gain? Those that contribute a higher proportion to the gross domestic product (GDP) of India in proportion to its population, the document seeks to suggest by offering a table. The “net gainers” by giving emphasis on the efficiency parameter would be states like Gujarat, Maharashtra, Andhra Pradesh and Haryana, which have contributed a much higher proportion to the national economy than proportion of population. And, Gujarat should gain the most, as its population is 5.6 per cent, while its contribution to the national economy is 7.32 per cent, suggesting a much higher per capita contribution than any other state of India. Giving a list of 15 major states, the document goes to suggest which other the states that should gain – Maharashtra (13.1 per cent population, 14.95 per cent contribution to GDP), Andhra Pradesh (7.5 per cent vs 7.84 per cent), Chhattisgarh (1.3 per cent vs 1.67 per cent), Haryana (3 per cent vs 3.68 per cent), Odisha (2.3 per cent vs 2.58 per cent), and Rajasthan (4.3 per cent vs 4.99 per cent), and Tamil Nadu (7.6 per cent vs 7.65 per cent). And the states that should be losers are Bihar (3 per cent vs 2.95 per cent), Karnataka (5.6 per cent vs 5.55 per cent), Kerala (3.8 per cent vs 3.77 per cent), Madhya Pradesh (4.1 per cent vs 3.71 per cent), Punjab (3.9 per cent vs 3.2 per cent), UP (9.4 per cent vs 8.19 per cent), and West Bengal (7.5 per cent vs 6,52 per cent).